Virtual Reality (VR) is the next big thing. There are already many players vying for their due pie in the VR live streaming market. Names like YouTube, Facebook, Scope, NextVR are some of the names that already became famous for VR. Almost all the channels are following the two-pronged strategy.They are broadcasting the VR videos of their own and also allowing users to upload VR videos (subject to the terms and conditions which are channel specific). VR goggles take 360-degree visual experiences even further with their capability to adjust what you see based on the direction the user’s face is pointing.Further entertainment is added when platforms such as Virtuix Omni enable adding additional sensory cues.These sensors allow the user to walk in the virtual world as created by the VR goggles. Going by the trend, we can see huge potential for these latest trends of VR, 360 degree live streaming.We can see VR in many days today functions as well thereby further increasing in its popularity. There may be big business in the whole concept of VR, 360 Degree live streaming. Though these concepts seem to be toys, these are a reality, and people are ready to adopt these technologies and the relevant hardware as well. We have a record (of 2015) stating that there are as many as more than 300 companies in the field of VR and their business in this technology is around USD 13 Billion, and there is a direct employment opportunity for nearly 40,000 developers. Virtual Reality and 360 Degree streaming are the two latest and innovative concepts powering events. The event can be a sporting event or a live concert.The live streaming gives the user the ultimate satisfaction and happiness once he is provided with this feature. Wowza earlier offered video on demand, and there are other services like Helix Universal Server, Adobe Flash Media Server etc. Wowza Streaming Engine developed by Wowza Media Systems is one of the prospective players in the field of VR, and 360 degrees live streaming.The company earlier released seven versions and the latest version released in June 2016 is the one with the capability to offer VR with 360 Degree live streaming. After seeing the real things that are happening in the field of 360 degrees live streaming, the need for the required hardware is an item in demand.First and foremost equipment to record is the camera. The camera is the heart of the video that is being recorded and published.The camera is supposed to consist multiple lenses, or it may be a single lens camera. The advantage of the multi-lens camera over single lens camera is that the former can capture footage that has to be stitched together later.Another important point of consideration before selection of camera is the image quality and resolution. Presently as many 19 companies are offering this wonderful product, i.e., 360 degrees live streaming camera.Some of the names include Ricoh Theta S, Facebook Surround 360, Bublcam, Kodak SP360 4K, Panono 360 degree camera, LG 360 CAM, ALLie Cam,360 Fly etc. Samsung, Facebook, HTC are some of the names doing rounds in the field of Cameras suitable for this technology. 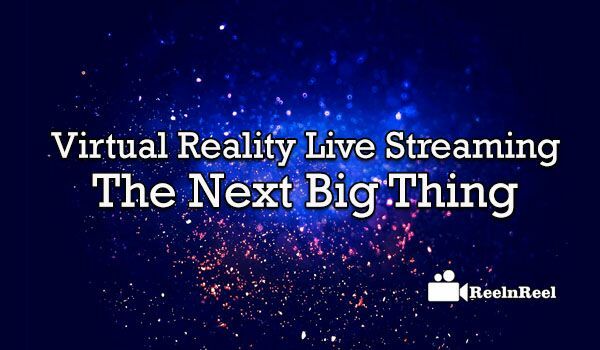 Based on what has explained above, we can safely conclude that VR 360 degree live streaming is the next big thing and the whole is anxiously looking to take full advantage of the same.